The other night Christian and I headed to Ella for our beautiful friend Valissa’s Birthday party. 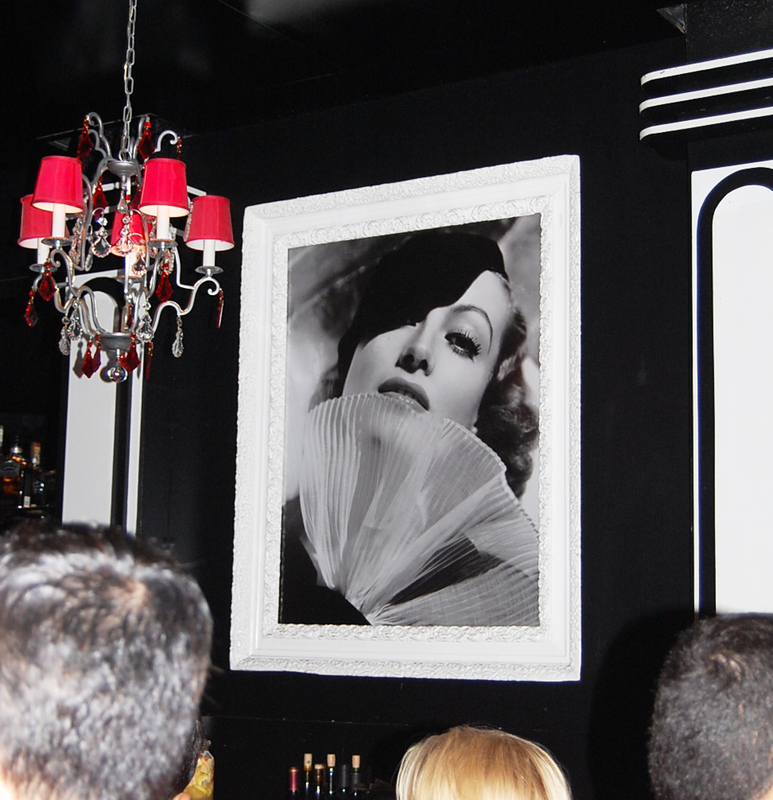 This venue is incredible and just my taste as it was decorated in stripes, chandeliers, and wonderful pictures of old Hollywood actors and movie posters. The place was beautiful and perfect for a lingerie soiree. 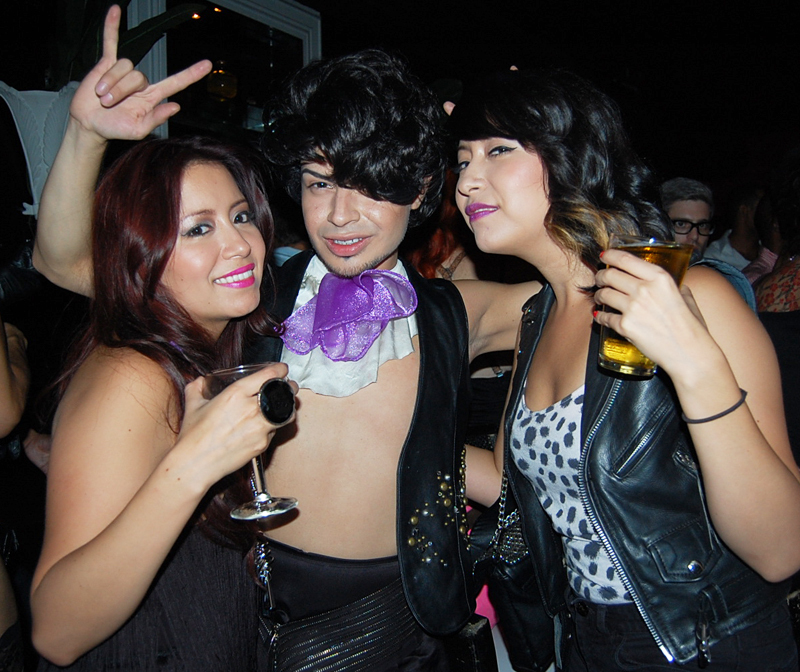 It was fun to see people dress up for this type of event, everyone looked awesome. We had a BLAST, the people were cool, the crowd was eclectic, the music was bumping, and we danced up a storm. 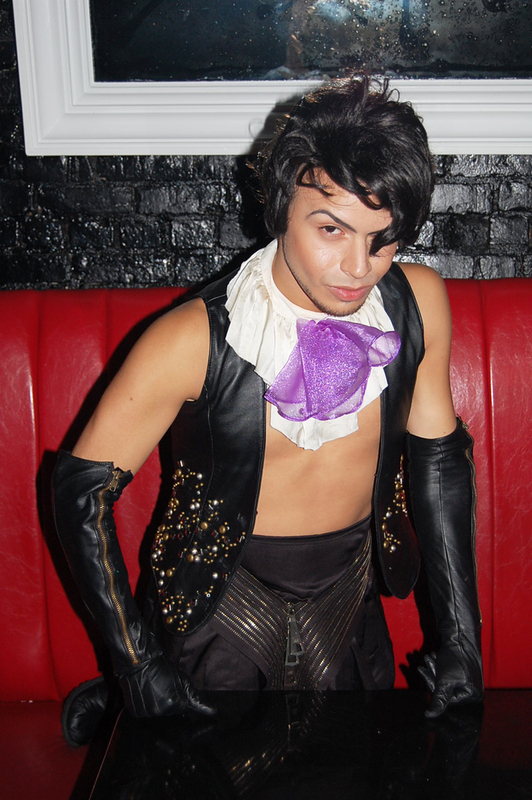 Christian was channelling his inner Prince and I was inspired by one of Olivia De Berardinis’s paintings. One of our stylist friend’s Omar was channelling his inner leopard with his awesome leopard and lace hold-ups! Valissa looked haute in her leather and lace combo, girl has to be half Puerto Rican because girls gotta booty! Omar, Valissa, and Christian. Hauteness! I wore an Agent Provocateur slip and stockings with my Topshop shoes and a Baxter coat. My necklace and earrings are vintage. Christian wore a vest by Kerin Rose, a skirt by Vera Wang, and his zipper vest was his own creation. I am not sure what his boots were but they were awesome. Girls gotta booty for days! Christian and the lovely Ada whom I met that night. I love her jacket! FIERCE. Omar is giving you FACE. Valissa pulls of red hair like nobody’s business. I wont tell you what my stockings say..its a secret. Met this lovely lady there too! Shes a singer! 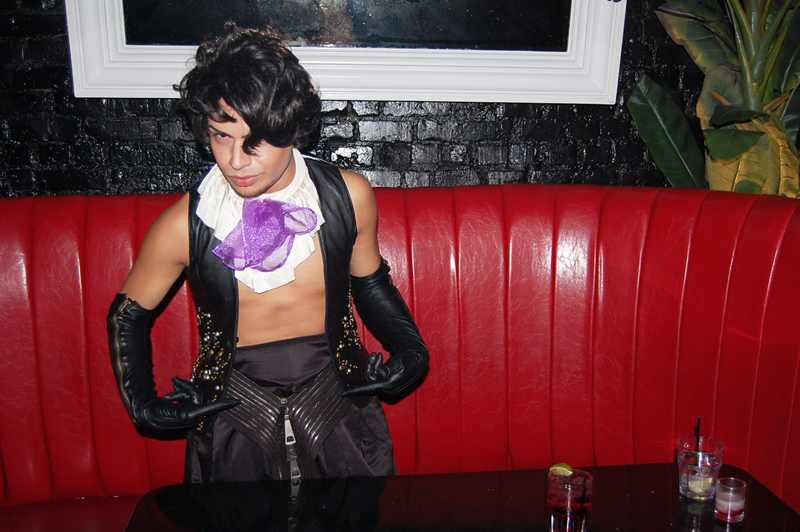 Omar gives new meaning to leather and lace and….a fanny pack! 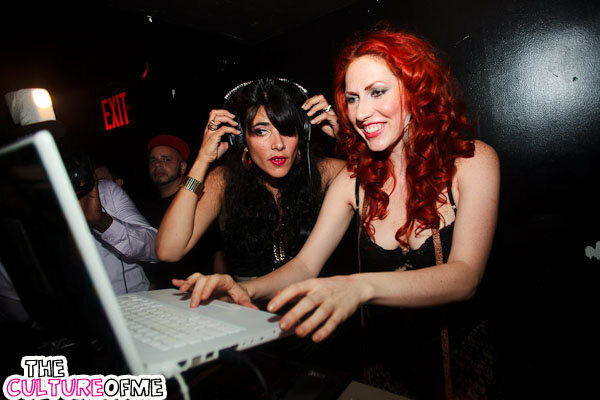 E.V.I.L never looked so good lolol..
Valissa is not only a great stylist but she DJ’s too! 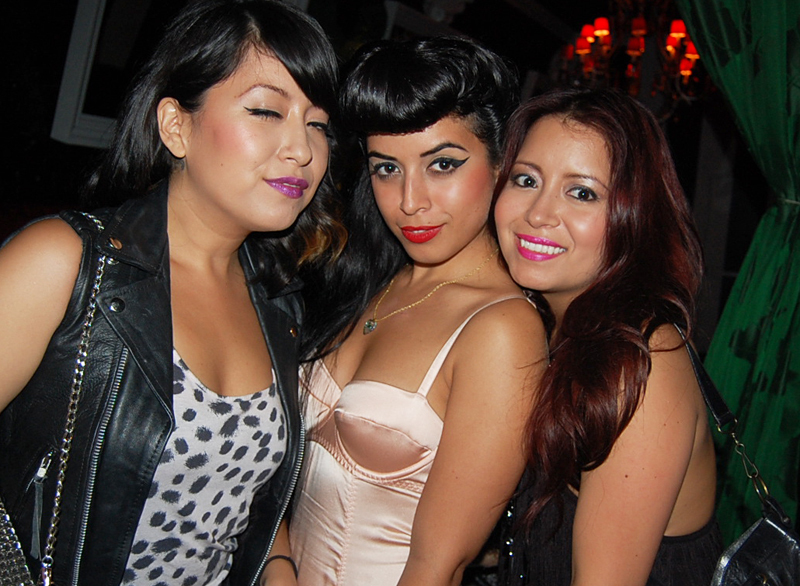 Here is a slide show of all the pics from that night. There were so many! ← Vintage Finds: August Goodies! Glad you had a great time with such amazing friends. You looked beautiful as always. Love to see that you can always look classy in what ever you wear. 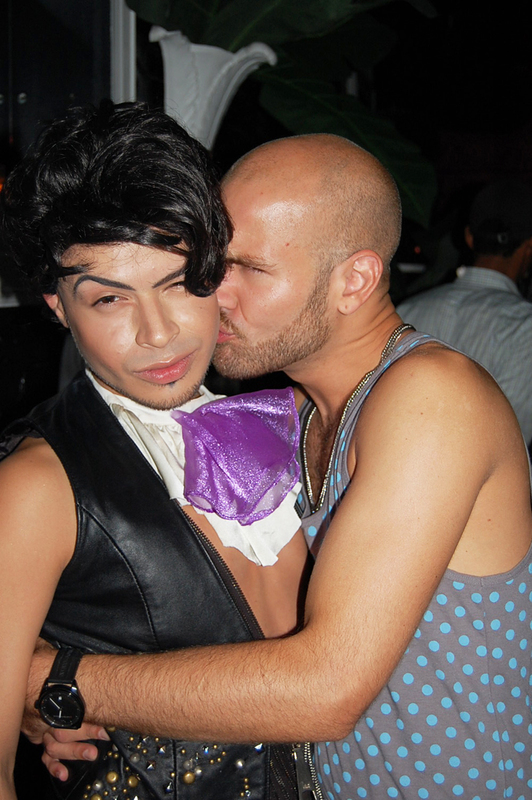 I love Christian’s “Prince” look and “OMG!” Omar looks too cute and what a body that guy has….love his Abs and cute little booty LOL. Valissa looks amazing, “love her hair” the color is to die for. It makes me very happy to see you having so much fun and meeting so many new people. This is the way everyone should live their lives before they have children so that when you do have children, you can look back, tell them the stories and have one big great smile on your face. Love you. Youre too cool for school! Wow is her hair naturally that red? It’s absolutely stunning!